Ely Area Broadband Coalition (Ely ABC) and the Ely Economic Development Authority (EEDA) are set to complete a broadband feasibility study and release report results by late-November. The Ely Area Broadband Coalition (Ely ABC) is a collection of city, township, school district officials, and private citizens working in partnership with the EEDA to improve broadband in Ely and the surrounding area. In mid-2017, Ely ABC and EEDA submitted the Request for Proposals (RFP) to conduct a broadband feasibility study. The group is keeping an open mind and will consider a variety of models. In addition to publicly owned infrastructure, they're hoping to hear ideas that will include partnership possibilities or recommendations on encouraging the private sector to improve local services. The City of Ely is in St. Louis County and located in the northeastern corner of Minnesota. The rural community has a population of approximately 3,500 year-round residents and covers 2.74 square miles. The community, known on the edge of the Boundary Waters Canoe Area Wilderness, is known as the location of the North American Bear Center and the International Wolf Center. In November 2016, Ely was one of six communities to receive a $25,000 Blandin Broadband Communities (BBC) program grant from the Blandin Foundation in partnership with Iron Range Resources and Rehabilitation Board (IRRRB) and Saint Louis County. Ely ABC and EEDA utilized the BBC grant to fund the broadband feasibility study. Through the BBC program, the six communities will receive broadband planning, along with technical support and assistance to advance local technology initiatives over the next two years. The BBC program has assisted 18 other rural communities across Minnesota with broadband planning. With the best intentions, Kentucky announced in late 2014 that it would build out a statewide open access fiber optic network to at least one location in each county to encourage high-quality connectivity in both urban and rural communities. Hopes were high as rural residents and businesses that depended on DSL and dial-up envisioned connectivity to finally bring them into the 21st century. After almost three years and multiple issues that have negatively impacted the project, legislators and everyday folks are starting to wonder what's in store for the KentuckyWired project. There is no one-size-fits-all method of deploying across a state filled with communities and landscapes as diverse as Kentucky. From the urban centers like Louisville and Lexington to the rocky, mountainous terrain in the southeastern Appalachian communities, demographics and geography vary widely. But most lack modern Internet access and local ISPs have found it hard to get affordable backhaul to connect to the rest of the Internet. There are several municipal networks in Kentucky, some of which have operated for decades. In addition to Glasgow, Paducah, Bowling Green, Frankfort, and others, Owensboro is currently expanding a pilot project that proved popular. As our own Christopher Mitchell discussed at the Appalachia Connectivity Summit, several cooperatives have made major fiber-optic investments in the state. When it comes to connecting residents and local businesses, we strongly believe local entities are the best choice. Local officials have a better sense of rights-of-way, the challenges of pole attachments, and the many other moving pieces that go into network investment. Projects with local support see fewer barriers - people are more willing to grant easements, for instance. Next week’s Border to Border Broadband Conference from the Blandin Foundation promises to be a great opportunity to meet like-minded people with an eye on infrastructure. This year, the event is titled “Bridging the Gaps - Expanding the Impact” and will take place at Madden’s on Gull Lake. If you haven’t already made your plans, now is an excellent time to plan on heading up north to enjoy some fall weather, Minnesota style. Minnesota is hosting its annual Border to Border Broadband Conference October 25-26 in beautiful Brainerd Minnesota on Gull Lake. 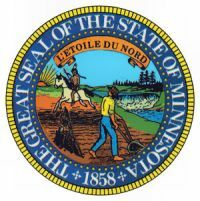 Come learn about Minnesota's broadband innovative broadband infrastructure grant program that has had a significant impact on broadband deployment in some of the most rural places in Minnesota. Blandin Foundation will present new research demonstrating the impact of investment in broadband infrastructure and adoption on five rural Minnesota communities where world-class broadband is meeting smart economic development strategies. Providers and communities will host eight interactive learning stations showcasing successful rural projects funded through Minnesota’s Border-to-Border grant program. Laura Withers, Director of Communications, NTCA – The Rural Broadband Association; Roberto Gallardo, Assistant Director, Purdue Center for Regional Development; and Aaron Brown, Iron Range storyteller, blogger (http://minnesotabrown.com/) and broadband advocate; are among the conference’s featured speakers. Learn more at the conference website. If you attend the conference, you’ll start the event by choosing between the Broadband 101 or Digital Inclusion preconference sessions. Later, there will be presentations on public-private partnerships, real life benefits to better rural connectivity, and methods for grassroots outreach. …[F]eature stories of partnerships and perseverance that define the Border-to-Border Broadband Development Grant Program participants. All sessions highlight what it takes for community success -- the partnerships, the strong community spirit and perseverance, the long-haul financial commitment, and the positive economic and social impact these investments have and will have on local businesses, households, and community institutions. Come for the community camaraderie and advice; leave better informed and inspired as you seek to reach your own community broadband goals. Mozilla’s All Access Pass with Veronica Belmont explores local broadband initiatives in episode 6. She sends reporter Dominic Girard to speak with folks in Renville and Sibley County, Minnesota, to discuss the RS Fiber Cooperative. Girard talks with Mark Erickson who spearheaded the project and describes how difficult is was for farmers who needed better connectivity for 21st century agriculture. Jake Rieke, a local farmer, shares the concerns he described with us in episode 198 of the Community Broadband Bits podcast - how awful Internet access could negatively impact his family’s future. The crew also interviews Angela Siefer from the National Digital Inclusion Alliance (NDIA) who describes the local desires to invest in better connectivity but state barriers that often interrupt those efforts. Angela gets into the ripples those barriers and access to the Internet interrupts the ability for women, people of color, lower-income folks, and the LGBTQ community to participate in civic engagement. The show also ventures to the way a group of entrepreneurs are using the Internet to help Syrian refugees adjust to a new life. Their program has changed people from refugees to coders sought out by tech companies. The show examines how access to the Internet - or lack of it - has become a factor that impacts one's life for the better or worse. Listen to episode 6 of All Access Pass here. Learn more about the RS Fiber Cooperative from our 2016 indepth report RS Fiber: Fertile Fields for New Rural Internet Cooperative. The lakes and woods of northern Minnesota are home to high-speed Internet service. Paul Bunyan Communications Cooperative has developed a 5,000 square mile GigaZone service area, where it offers symmetrical speeds of up to 1 Gigabit per second (1,000 Mbps) to homes and businesses. Paul Bunyan Communications CEO Gary Johnson explains how the cooperative built a Fiber-to-the-Home (FTTH) network throughout rural areas. In this TEDx Bemidji talk, Johnson explores through the history and mission of telephone cooperative and points to the importance of building networks for the future. Specifically, he highlights the need for high-speed uploads for innovators and entrepreneurs in rural communities.